This Irish baby hat with a shamrock and ear flaps is an ideal size for a toddler. Keep baby warm with this toddler size shamrock hat with ear flaps and chin strap. 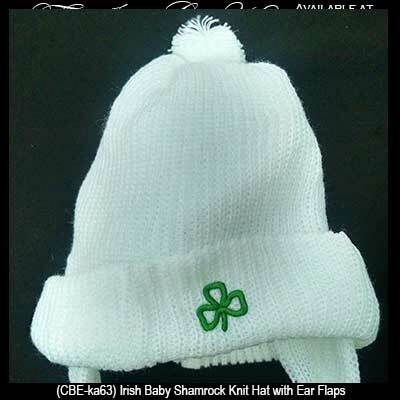 The Irish baby hat is 100% knit acrylic and is received with a shamrock history card, complements of The Irish Gift House.